2theAlps is dedicated to helping skiers and snowboarders travel to the Alps by train, plane, car and coach. Central to the company is its detailed mapping. 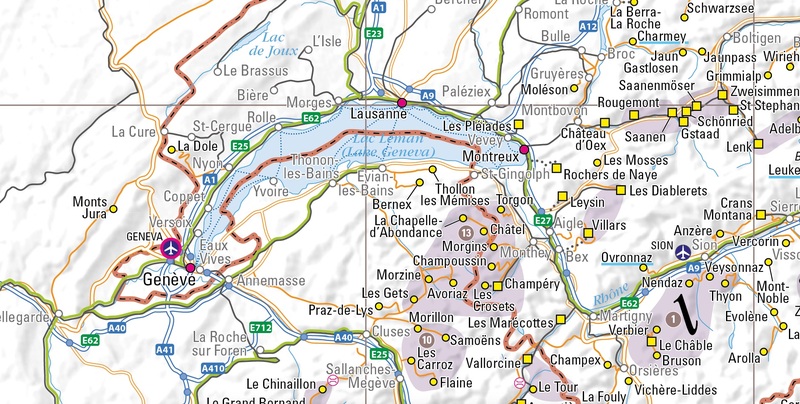 This new map plots the locations of over 640 resorts throughout the Alps. The idea for the company began back in 2011 with the launch of the SkiRail Map of the Alps (published through Roger Lascelles (Maps) Ltd) which set out to help people to travel to, and in, the Alps by train. It became apparent that there was no multi-purpose map of the Alps on the market, so a range of new features were added to the original map. Roads are clearly useful for planning car-based journeys but also indicate the presence of bus routes as most Alpine passes (and many routes to resorts) are served by buses. Our latest map therefore includes all the airports in the region, railways, major roads and tunnels, as well as highlighting winter pass closures. 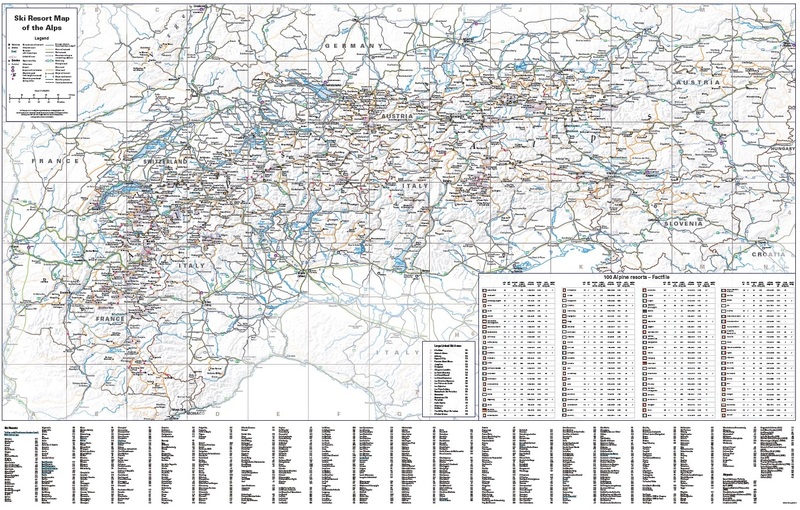 Detailed map showing the position of over 640 ski resorts across the Alps, and how to reach them. The first comprehensive ski-resort focused map of the Alps. Covering the seven Alpine countries, the Ski Resort Map of the Alps shows (and indexes) the positions of 640 resorts making it an invaluable tool for independent skiers and other winter sports enthusiasts, both at the holiday planning stage and whilst away. All the well-known international resorts are included such as Kitzbuhel, St Anton, Val D'Isère and St Moritz, and there are also hundreds of lesser known places offering the opportunity for independent adventure and exploration in the world's biggest ski-resort mountain range. The map enables people to plan their travel to, and through, the mountains and includes over 30 airports highlighting those with railway stations for an easy onward transfer. It also shows ferry crossings of the major Alpine lakes including a number of resorts where a cable car or funicular railway takes you directly from the lakeside ferry stop to the ski area for an unforgettable travelling experience. As well as a pre-holiday planning tool, the map is ideal for a ski-safari type holiday involving travel between resorts whether by rail, road or water.